Bam is a French company that produces stylish cases of sophisticated design. One Year Warranty. Slim, Connection, Compact, Contoured, and other High Tech series cases are made in France with final assembly in the US. Other models made in Thailand. We are offering FREE Shipping on Bam cases. To get this offer, add a case to your shopping cart. Then, return to this page, and click on this Icon. You will see a credit in your shopping cart to offset the cost of standard domestic shipping. Newer Variant of the popular Contoured model. Same as the original shaped design, but with a sleek new, silver look. 4.2 pounds (1.9 kg). 2 Bow holders. Limited edition, new look. Other features are the same as the standard Contoured model. Adjustable for Viola from 15-17 inches. Will accept Viola with lower bout up to 10 inches (25.4 cm). 4.2 pounds (1.9 kg). 2 Bow holders. Just like the original Contoured model, but with the new anti-scratch textured surface. That little notch in the side is not just for flair. Shapes like that also make the shell stronger. Adjustable for Viola from 15-17 inches. Will accept Viola with lower bout up to 10 inches (25.4 cm). 4.2 pounds (1.9 kg). 2 Bow holders. Made in Black Carbon, Tweed, Azure, Black Lazure, Silver Carbon. Color selection is made in the shopping cart. Anise color has been discontinued. New Variant of the popular Contoured model. Aluminum/Leather trim sets this model apart from the other Contoured models. 4.2 pounds (1.9 kg). 2 Bow holders. Just like the original High Tech series Oblong case, but with the new anti-scratch, textured surface. New Variant of the oblong high tech series case. Aluminum/Leather trim sets this model apart from the other Contoured models. Smaller variant of the popular oblong model. Matte black finish is new for this special mode. Four bow holders. Weighs only 6 pounds (2.7 kg) without pocket. 6.8 pounds (3.1 kg) with pocket. 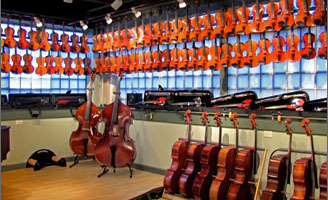 This model fits violas up to 16-1/2 inches in body length and lower bout up to 9.5 inches. Adjustable for Viola from 15-17 inches. Will accept Viola with lower bout up to 10 inches (25.4 cm). Four bow holders. Weighs only 6.8 pounds (3.3 kg). Same as the Oblong High Tech model, but with the new "La Defense" look. This case is also made in the compact size. See details for this version above. Limited edition, new look. Other features are the same as the standard Oblong model witjout pocket. Adjustable for Viola from 15-17 inches. Will accept Viola with lower bout up to 10 inches. Four bow holders. Weighs only 6 pounds (2.6 kg). No Pocket. New Model with distinctive twist on the Compact Oblong High Tech case. Exterior Pocket. 6.8 pounds (3.1 kg) with pocket. 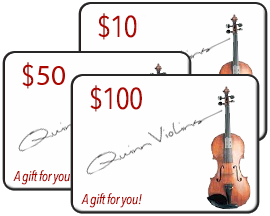 This model fits violas up to 16-1/2 inches in body length and lower bout up to 9.5 inches. 8.2 pounds (3.7 kg). Two bow holders. Exterior music pocket. 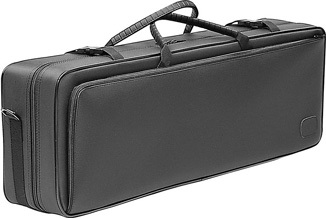 The Violin version of this case has the bow tube on the outside of the case. However, the Viola model has the bow inside as normal. Expandable music pocket. Stowable backpack straps. Rain cover. Bow tube holds 2 bows. 8.8 pounds (4 kg). Slim profile with futuristic look. Two bow holders. 6.4 pounds (2.9 kg). Available in 15-3/4" or 16-3/8" size. Same as the standard Stylus model, with an updated appearance to the exterior. Two bow holders. 6.4 pounds (2.9 kg). Available in two sizes; 15-3/4 or 16-3/8 Viola. Same as the standard Stylus model, but with an updated appearance to the exterior. Two bow holders. 6.4 pounds (2.9 kg). Available in two sizes; 15-3/4 or 16-3/8 Viola. Size selection is made in the shopping cart. Just like the original Stylus model, but with the new Signature look. Same as the original Stylus model, but with the new Signature look. Just like the original Stylus model, but with the new Eastern European inspired exterior look. Just like the original Stylus model, but with the new Eastern European Inspired exterior theme. 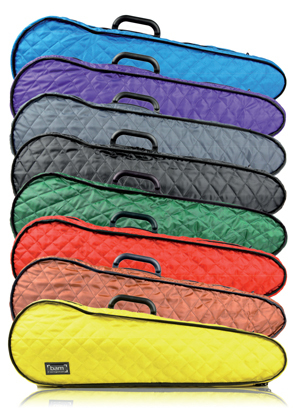 Covers for Bam cases. Add a little protection for the shell of your case, while adding a little flair. Neoprene material offers extreme protection against moisture.